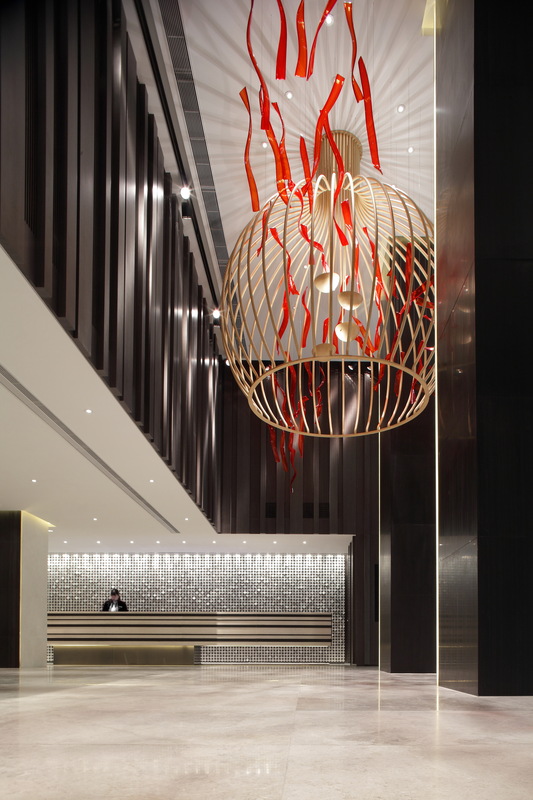 Marco Polo Gateway Hotel, Hong Kong by CL3 Architects Ltd. 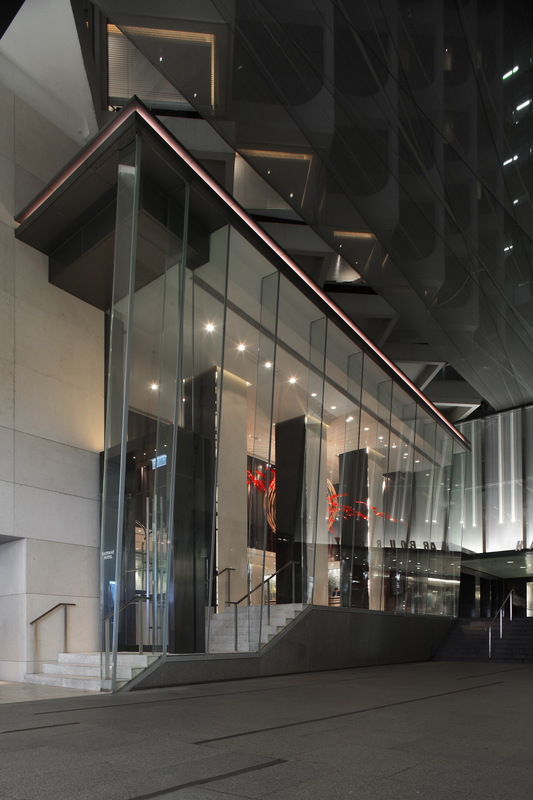 Located on Canton Road, one of the busiest high end shopping districts in Hong Kong, the Gateway Hotel is a retrofit of a 24 years old hotel which was initiated as a proposal by the Interior Design team to rebrand the hotel to bring it in line with the high end retail shoppers who would become the customers of the hotel. 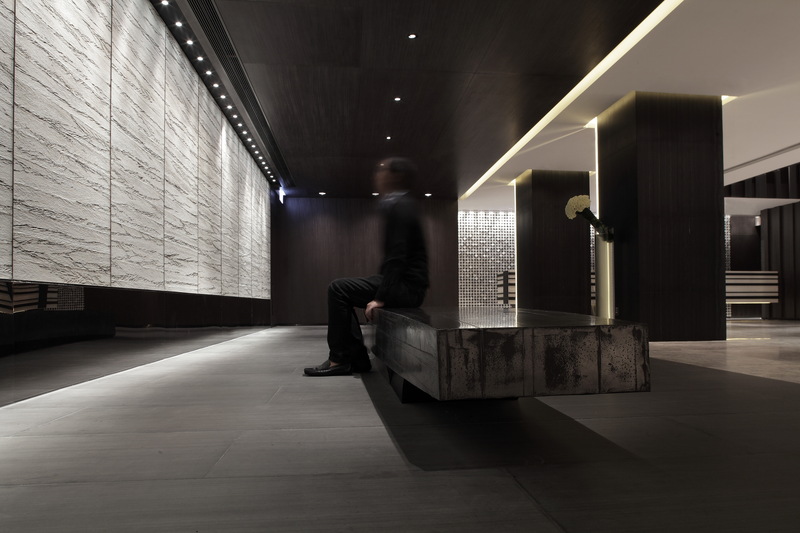 The design challenges the nature of conventional mid-range tourist hotel design with a simple, elegant and artistic approach that complements the fashion worshipers who will frequent the hotel. 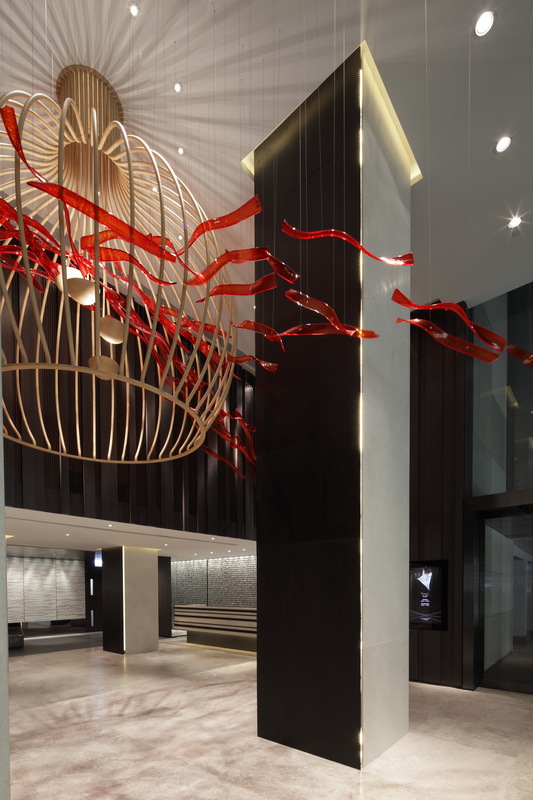 The hotel lobby is enclosed in a double height glass box, which showcased a dramatic artistic installation of an oversized “bird cage” with red glass ribbons “flying” though it. Dark timber and beige marble frame the installation and create a dramatic monochromatic three dimensional quality to the space. 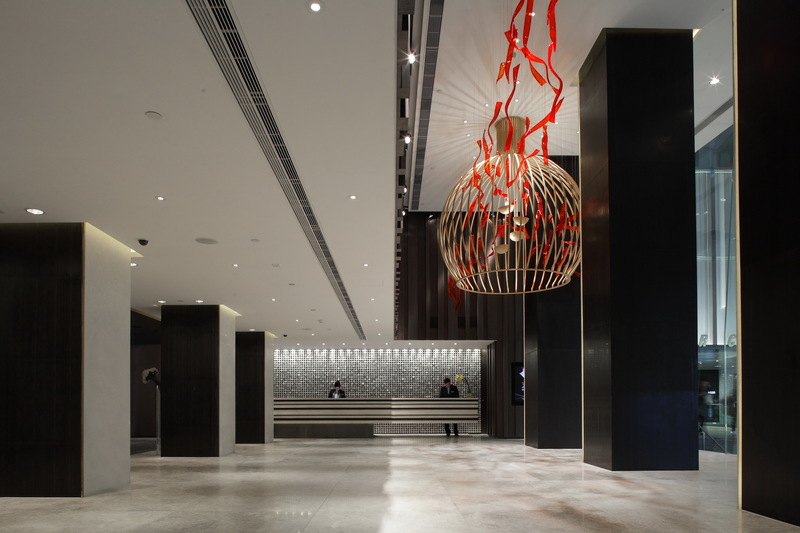 Inside, the lobby is minimalistic in black and white tones catering for the high traffic from the 400+ rooms within the hotel. 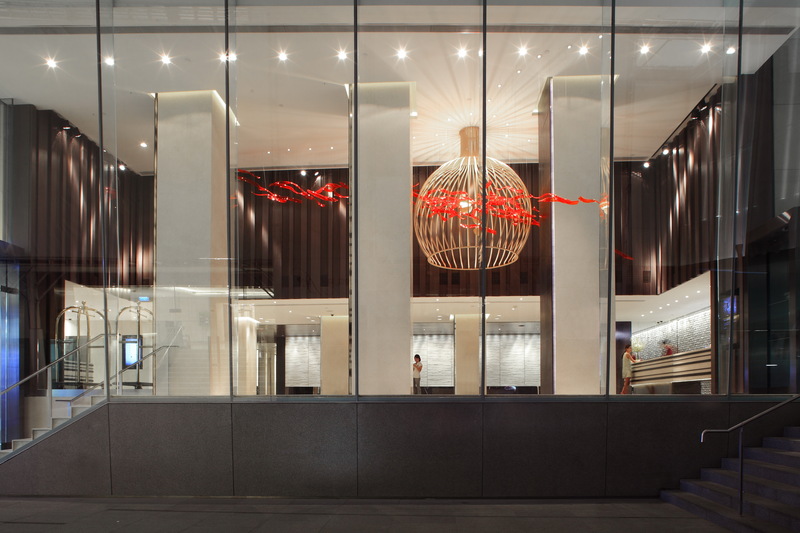 The goal is to create and Asian Zen garden atmosphere to contrast the energetic retail activities outside.